Eating healthy food has become the order of the day, especially with the rise of the lifestyle diseases. 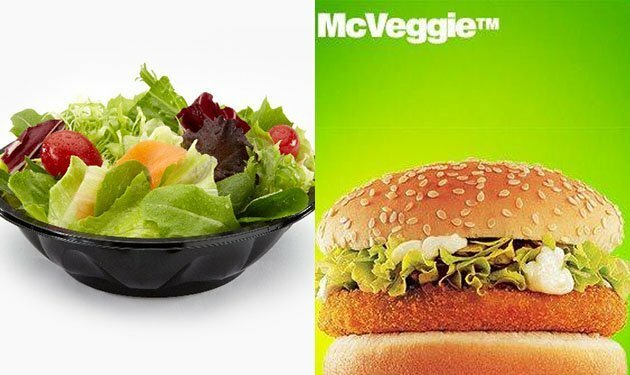 This has made fast food chains move from the traditional junk food such as burgers, fries, and milkshakes and start preparing healthy foods. Even if you are busy and are not in a position to prepare meals at home, fast food chains are coming up with healthy fast foods such as salads without creamy top dressings and sandwiches without add-ons. Eating healthy does not mean that you forego the tasty bits altogether. You can control the amount you take. When selecting healthy food, look for more vegetables in your meals. Such are full of fiber and water and you will feel more sated by the day. They are very health friendly. Grilled and steamed food is better than fried food as it has less grease. For beverages, you can order iced tea (unsweetened) and plain water instead of soda, which has more calories. You may skip dessert if you are a weight watcher and if you must take it, take the fruit option. There are a number of healthy fast foods from various fast food chains, which have included the health element in their menu. Burrito bowls and salads are the best here. 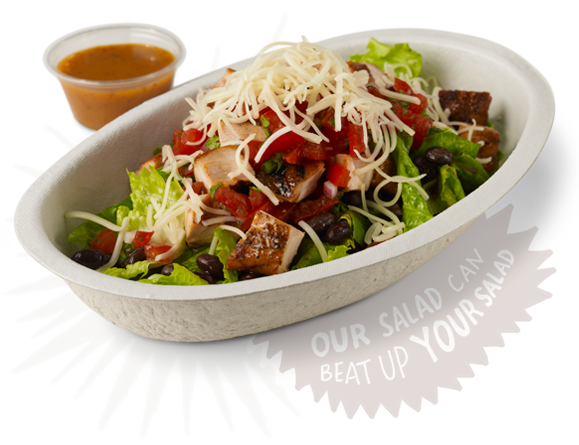 The Chipotle salad with barbacoa, black beans, and fresh tomato salsa is 320 calories, has 8 grams of fat and 33 grams of protein. 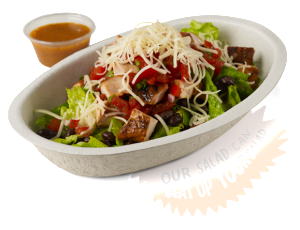 A steak burrito bowl with brown rice, black beans, fresh tomato salsa, and lettuce is 495 calories, has 11.5 grams of fat and 41 grams of protein. Starbucks is known for their coffee, but in case you need some food, try the breakfast wrap of spinach, roasted tomato, feta, and egg white, at 290 calories, 10 grams of fat, 19 grams of protein, and 6 grams of fiber. Lunch could be a Bistro Box of chicken and hummus, with 260 calories, 7 grams of fat, 5 grams of fiber, and 20 grams of protein. For something sweet, there’s the Seasonal Harvest Fruit Blend with 90 calories and zero grams of fat. Their health food menu has about 7 foods that pack about 350 calories or less. They range from 3.5 grams of fat (for the Soft Taco Fresco Chicken) and 9 grams of (the Fresco Bean Burrito). 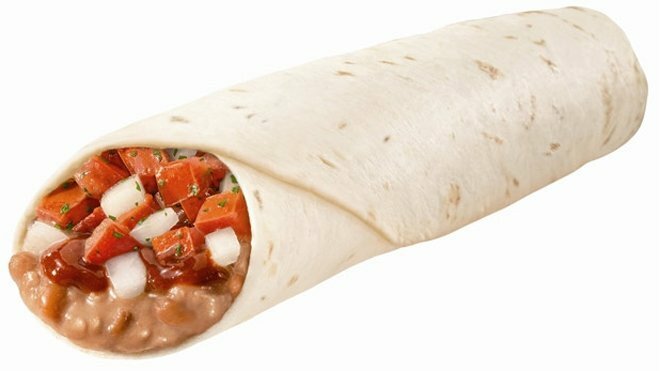 On their normal menu, a Chicken Soft Taco has 6 g of fat, and roughly 170 calories, on the other hand, the regular meal of the same ingredients has 370 calories and 11 grams of fat. 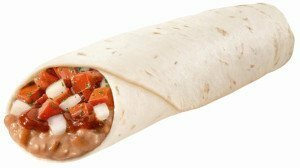 The Fat-free pico de gallo topping would be a great option for you. 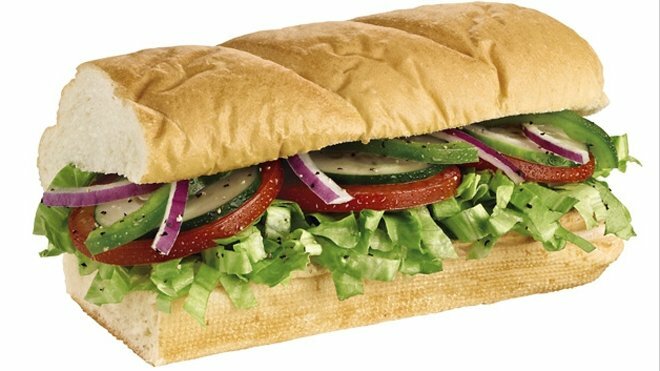 Subway food is great and it has less grease. It can be categorized as healthy. Your 6-inch Veggie Delite sub will have low sodium content and it can then be topped over with black olives, tomatoes, green peppers other vegetables. The fat content usually starts at 2.5 grams/230 calories. It depends on the type of the dressing that you choose. 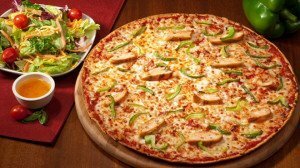 Domino’s – Can Pizza be used as healthy fast food? Here, a slice of pizza (an eighth of a big thin crust pizza has about 116 calories and about 4.4g of fat. You can add some marinara sauce and cheese. In total, you can end up with less than 200 calories and less than 10g of fat. 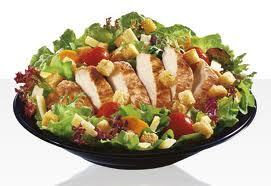 Wendy’s is a fast food chain and it has Garden Sensations Salads, which come in full, or half- size options. 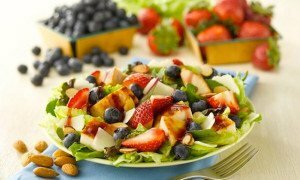 The Apple Pecan Chicken salad, half sized, is 340 calories and 18 grams of fat, with 19 grams of protein and 4 grams of fiber. A small chocolate frosty is 290 calories, 4.5 grams of fat, and has 8 grams of protein for those who feel they must have it. McDonald’s boasts of “Favorites fewer than 400,” though the count is before sauces or any condiments. For breakfast, there is the Egg White Delight McMuffin with white Cheddar, at 250 calories, 7 grams fat, and 18 grams protein; a medium nonfat latte is 130 calories. The Premium Caesar Salad is at 90 calories, 4 grams of fat, and 7 grams of protein. They also have apple slices at 15 calories. BK-VEGGIE Burger comes with little fat, about 7 or 8 grams. This applies only when you do not take it with mayonnaise or cheese. Without cheese or mayonnaise, the burger will have about 400 calories and with both additions, it will have 450 calories. The express is another fast food chain and it has brown rice, which can go with a dish of mixed vegetables with just 35 calories and zero grams of fat, along with 3 grams of fiber and 2 grams of protein. For a snack, you can take a fortune cookie with just 32 calories, no fat, and 1 gram of protein. 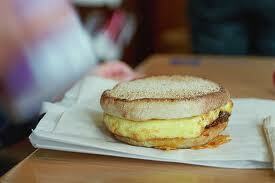 At Dunkin’ Donuts, the multigrain bagel is 7 grams of fat, 350 calories, 8 grams of fiber, and 15g of protein. It has “DD Smart” items that contain less than 400 calories, which includes the Egg White Veggie Flatbread at 280 calories, 10 grams of fat, 3 grams of fiber and 16 grams of protein. 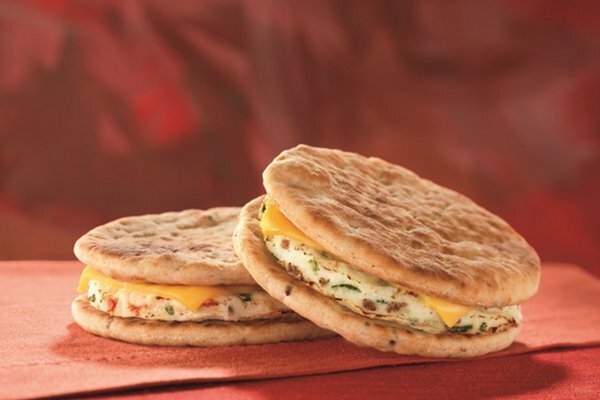 The new Turkey Sausage Breakfast Sandwich has with 390 calories and 17 grams of fat. Taking healthy food has become the norm as the fast food chains have awoken to the reality and they are now preparing the best healthy fast foods for people who are health conscious.